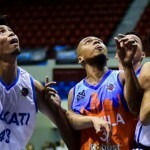 Maharlika Pilipinas Basketball League (MPBL) Datu Cup match between the Manila Stars-Robust Energy Capsule and the Mandaluyong El Tigre-Data Land at the San Andres Sports Complex, Malate Manila. Maharlika Pilipinas Basketball League (MPBL) Datu Cup match between Caloocan Longrich and the Manila Stars-Robust Energy Capsule at the Ynares Sports Center in Antipolo City. 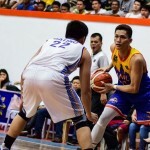 Maharlika Pilipinas Basketball League (MPBL) Datu Cup match between the Pampanga Lanterns and the Manila Stars-Robust Energy Capsule at the Angeles University Foundation Gym in Angeles, Pampanga. 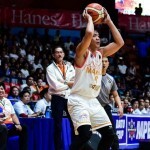 Maharlika Pilipinas Basketball League Datu Cup match between the Manila Stars-Robust Energy Capsule vs Cebu City Sharks – Casino Ethyl Alcohol at the Cuneta Astrodome in Pasay City. 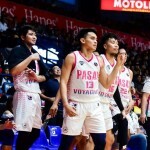 It will be the Pasay Voyagers to play host for the MPBL Datu Cup, taking on the Bacoor Strikers at the Cuneta Astrodome on Tuesday, July 24, 2018. Maharlika Pilipinas Basketball League Datu Cup match between the Valenzuela Idols and the Manila Stars at the Filoil Flying V Centre in San Juan City, Metro Manila.